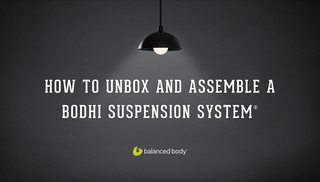 Congratulations on your new Bodhi Suspension System! 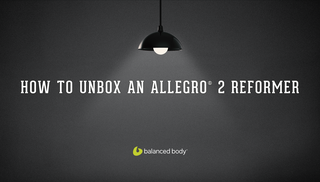 Ken and Kaleen take you inside the box and make setting up your new piece of equipment a cinch! 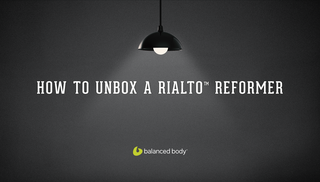 Your Rialto reformer is here! Great, now how can you easily, safely and simply unbox it and set-it up? Watch this video where Kaleen and Ken take you through the steps to success with your new investment. 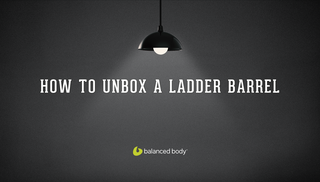 Your ladder barrel is easy to set-up with a few tools and tips from Kaleen, the Balanced Body “Mechanic” and a FUN surprise inside the box! Simply watch, unbox and you’re ready to go. Kaleen and Ken help you get this new “big thing” into your studio or home space with ease! Learn how best to unbox your new piece of equipment safely and effectively to get yourself, or your client, moving shortly after your new investment arrives! 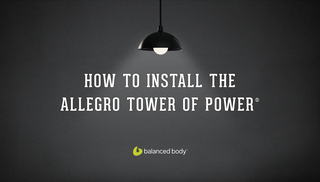 Unbox and set-up your Allegro Tower of Power with ease as Kaleen and Ken take you through the steps. This video will help you get your new tower installed and running properly for many workouts to come. 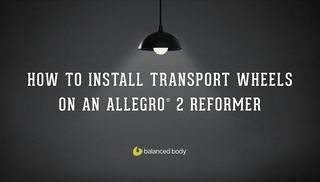 The transport wheels on your Allegro 2 are important to move your reformer with ease! When you get your new wheels, watch this video where Kaleen coaches you on all of the steps needed to install these wheels, brackets and undercarriage cover seamlessly. 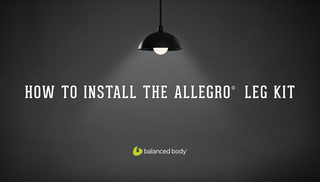 Ready to add legs to your Allegro? 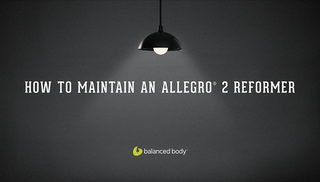 Kaleen and Ken take you through the steps to prepare your reformer properly and easily install the legs without fuss. Get your reformer higher and up off the ground ready for workouts right away! 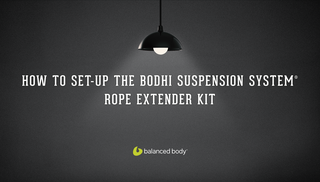 Kaleen and Kenny are here to help you set-up your Bodhi rope extenders with ease. When you have a high ceiling in your studio, these extenders are the easy way to make your ropes a bit longer. Get easy and efficient coaching on how to get your ropes running right away! Keeping your equipment clean between sessions and general maintenance is so important. 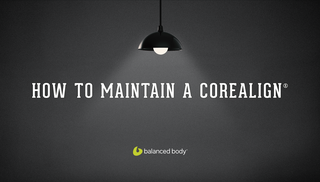 Kaleen and Ken are here to help you with some fantastic tips and ways to make sure your CoreAlign in top shape! Keeping your reformer clean and healthy is paramount to continuing successful workouts for your clients. Learn how to maintain, schedule and perform needed regular “check-in’s” on your upholstery, springs, loops, ropes and much more as Kaleen and Joe guide you through this easy and comprehensive video. 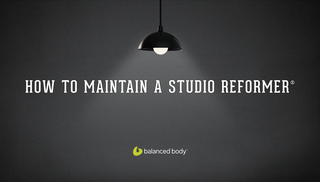 Kaleen and Joe are here to help you with maintaining your studio reformer. They’ll give you the tips, tricks, tools and schedule on all of the maintenance items related to your incredibly important investment so that it holds its value and ability for years to come!